The 'Other Places' feature makes it easy for Equestrian Passions members to promote the other social networks and dating sites where they have a membership. The sites listed below are available to be added as links within Equestrian Passions member profiles. If you have a membership in any of these sites & you would like to let people know where they can find you online (when you are not here), join Equestrian Passions and use the 'Other Places' option to add the sites you participate in, into your account. 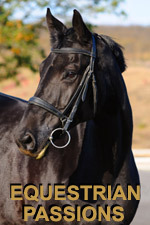 focused on the Equestrian Community?